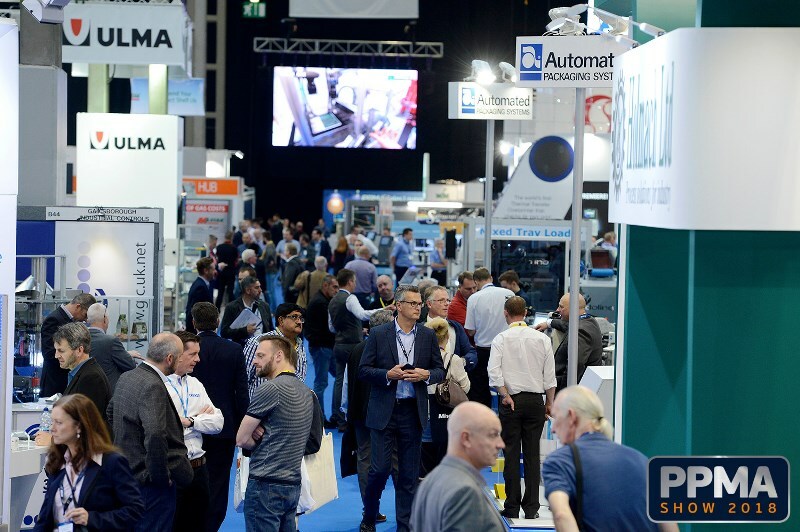 The PPMA Show 2018 returns to the NEC, Birmingham from 25-27 September to celebrate the industry’s success and mark its own 30th anniversary in what will be its biggest show to date. The latest instalment of the show comes as the manufacturing sector has just achieved its longest period of expansion since 1968, boosted by global economic growth and the weakened pound, while early signs reveal that Britain’s manufacturers are on track to outpace the rest of the economy – setting the year on a strong path for growth. Registration for the recently rebranded processing and packaging machinery show is now open. The show will see more than 350 exhibitors representing 1,500 brands, creating a platform for 8,000 key decision influencers and makers from the world’s food, pharmaceutical, toiletries and FMCG industries to explore the latest innovations and do business live from the show floor. Cementing its position as the UK’s leading production line event, leading players including Schneider Electric, Ishida Europe, Bosch, ABB and Omron Electronics UK are already confirmed to exhibit at the milestone event, showcasing the most technologically-advanced processing and packaging machinery the industry has to offer. As well as the chance to see working machinery in action, relationship building will be a key focus for this year’s event. The PPMA Show 2018 will see the introduction of new and improved networking facilities to ensure that exhibitors and visitors alike can easily initiate and execute meaningful business discussions to maximise their time spent at the NEC this Autumn. In a bid to further drive innovation and add value for visitors attending the show, the original Learning Hub format will also be revamped. A high-profile industry speaker, to be confirmed in the coming months, will deliver a keynote address to mark the start of the 30th anniversary event, followed by a line-up of thought leaders who will share their industry knowledge in focused sessions over the three days of the show. With manufacturers constantly on the lookout for new opportunities and ways to drive efficiency, the biggest trends and challenges facing the industry will be put under the spotlight during this year’s seminar programme. Recognising innovation and rewarding the hard work of the industry will also be the focus at the prestigious PPMA Group Industry Awards. Returning to the first night of the PPMA Show, the glittering ceremony and gala dinner will move to the Hilton Birmingham Metropole and see a new format on the night. Comedian Brian Conley is confirmed to host the evening’s proceedings with further announcements on the changes to the awards, how to enter and book your tickets to attend due to be announced soon. Speaking about the show’s 30th anniversary, Dr Andrew Mint, CEO of the PPMA Group of Associations, said: “2018 marks a great year for the manufacturing industry and the PPMA as we launch a new look and fresh new ideas to mark our 30th anniversary. “By engaging with our members and exhibitors throughout the show’s history, we’ve been able to identify the areas where we can really add value and ensure that both exhibitors and visitors that join us in September have a productive and successful show. Registration for the PPMA Show 2018 is now open. Visit the show website for your free badge.